Today’s topic is one that should be obvious but is not. 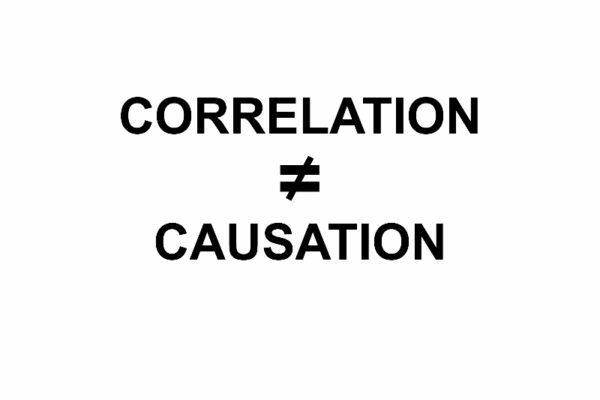 Our society, in a general attempt to get rid of science altogether, has replaced cause and effect with the listing of correlating facts to prove any theory. The fitness industry is especially guilty of such practice since it helps to sell stuff that nobody needs. Case in point – the French paradox. It goes something like this; the French eat more butter but have fewer cases of heart disease, henceforth the secret must be the red wine they consume along with said butter. I am shortening for dramatic effect but you do get the idea. 1. Butter (saturated fats) causes heart failure. How much? What if I exercise? Smoke? What if I eat margarine instead? 2. Red wine prevents heart disease. In all fairness, there is some research showing that resveratrol (an ingredient in red wine), has some anti-aging and heart friendly properties. The downside? For now, this has only been proven in vitro and you’ll need to drink about 3 gallons of red wine a day to get enough. Cirrhosis anyone? However, fear not, Dr. OZ has a resveratrol supplement for you! 3. Lastly, How do you collect data from all 66 million people in France to know that they all drank wine and ate butter? Furthermore, how do you create a control group without traveling back in time and reversing their diet? Here is my completely non-scientific explanation: France has a better health care system (I do not intend to stir up the Obama care debate, just stating a fact), so people are more likely to go for check-ups and detect health issues earlier. They also work fewer hours, which might also be a factor in longevity. Lastly, people who drink red wine do so mostly in social settings, meaning they have friends to share their problems with. This also reduces stress and leads to better overall health. So in conclusion, the next time you read ‘Pro bodybuilder X’ gained 17 lbs of muscle because he did ‘Y’, do not be a lemming. Look into the facts before wasting your hard earned cash! Previous post: How Many Reps Should I Do?